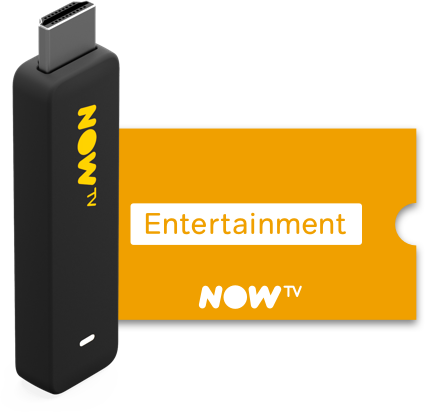 Our new streaming stick is a pocket sized and portable way to get NOW TV on a compatible TV at home or away! What is a NOW TV Smart Stick? 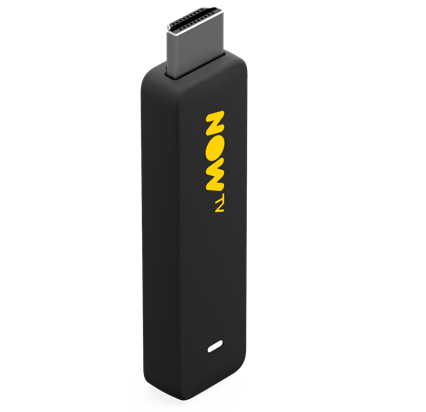 The NOW TV Smart Stick is a small device you can plug in to a compatible TV and connect to your WiFi. You can stream the latest TV shows and biggest blockbusters, plus awesome Kids TV and unmissable Sport, all with our NOW TV Passes. Plus, your favourite apps like iPlayer and All 4 will keep the whole family entertained. Pick a value pack for big savings on the Entertainment Pass, Sky Cinema Pass or Sky Sports Pass. 18+. UK only. NOW TV account set up with debit/credit card required to activate NOW TV Smart Stick. Product is an HDMI Stick for your TV only. HDMI extender may be required for wall mounted/small TVs. Minimum clearance of 10cm (l) x 3cm (h) x 2cm (w) required to connect stick. Voice Search applicable to NOW TV content only. Streamed via Wi-Fi (min speed 2.5Mbps). NOW TV content streams in 720p. New customers simply enter the voucher code at sign up. Existing customers can apply the voucher to their existing account. Voucher inside to redeem your relevant NOW TV pack .Voucher expires 1 year after date of purchase. At the end of the pre-paid period month passes keep rolling unless cancelled (Entertainment Month Pass at £7.99 a month; Sky Cinema Month Pass at £11.99 a month; Sky Sports Month Pass at £33.99 a month). All passes other than that included in your chosen pack sold separately. Savings claims based on the cost of box and relevant content pass if purchased separately. Further terms apply. 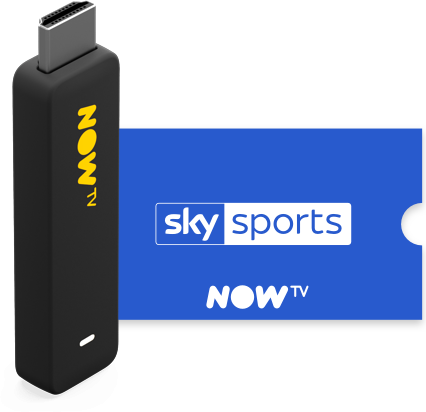 Choose from our NOW TV Passes, and get over 300 box sets, 1,000's of movies, awesome kids TV and unmissable live Sky Sports. Watch shows from your favourite channels On Demand, plus apps like Sky Store, YouTube, Vevo and UKTV Play. Tell your remote control what NOW TV show you want to watch, and let the Smart Stick do the rest. 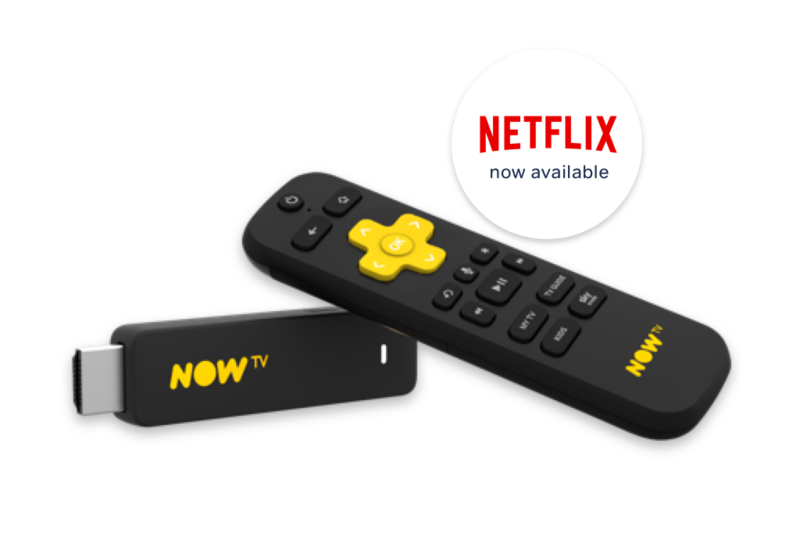 Simply sign up to NOW TV, plug the Smart Stick into a compatible TV and start watching instantly. Explore the latest content and watch your favourite shows. You can choose from our 4 TV Passes to create the perfect package for you. 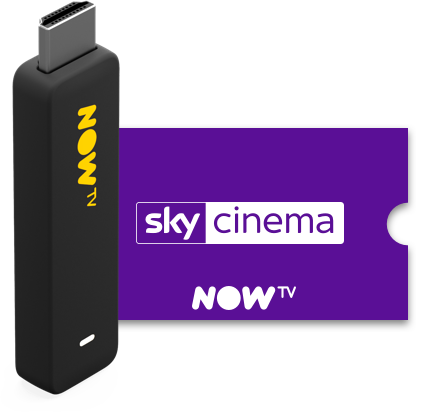 Simply choose a NOW TV Smart Stick; we have already created some awesome Stick and TV bundles for you to choose from, you can then personalise your TV selection and add more Passes onto your account later on. Already got a Smart Stick & need to activate it?